Bird Damage to Bowls Greens is a common issue faced by greenkeepers. 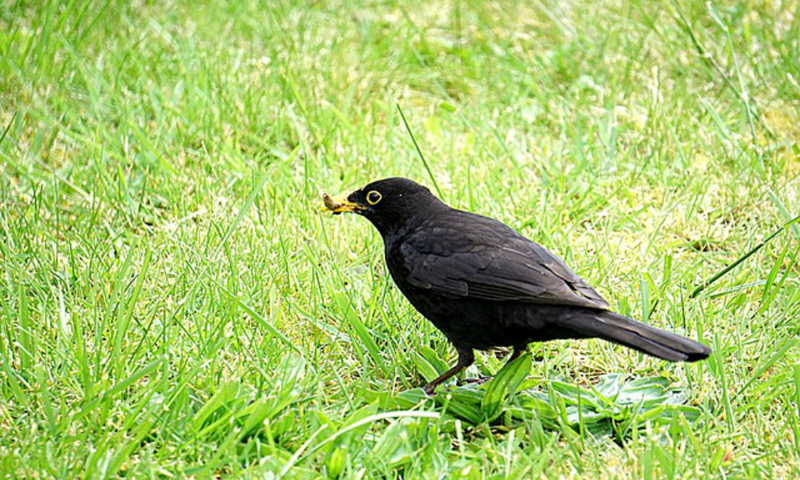 A few readers have been writing in to ask about dealing with birds digging up their greens and quite rightly enquiring as to what can be done to control the bird activity. Well, although there are occasions when birds will dig up turf on speculation that there might be some food, its unusual for them to cause widespread damage to large areas of the green unless they have a dead cert food supply. Even though there might not be any obvious signs of grubs or insects, if there is significant bird activity (especially during mild spells) then it is also likely that leatherjackets are active. Leatherjackets are the larvae of the Crane Fly (Daddy Long Legs) and they are voracious consumers of turf roots. They will usually continue to feed on grass roots right through the winter period. If bird activity is very localised on just a few small areas of the green this might be explained by mossy turf as it easy to dig up, so if you have areas of moss this might explain the problem too. I am often asked help o how to deal with the birds in these cases, how to keep them off the turf or to scare them away. However, in most cases it is important to remember that the birds are only the messengers, bringing you news and some measure of control over a very serious problem for your green. The leatherjackets will do a huge amount of harm to your green, much more then the damage caused by the birds. Once a tribe of leatherjackets has munched its way across your green you could lose large areas of turf as there are no longer any significant roots left. This manifests itself as large areas of yellowing turf.